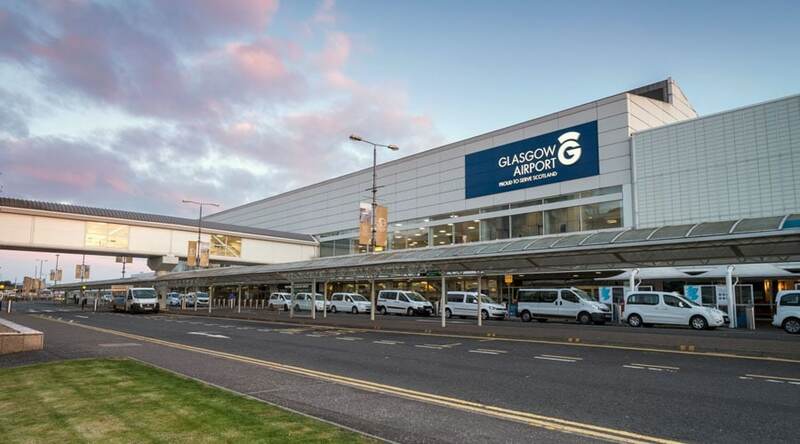 Located in beautiful Southern Scotland, Glasgow Airport offers links for Scottish businesses and offices as well as being one of the most exciting cities to visit in Europe. A popular destination for both work and leisure, Starr Luxury Cars can help to make any ongoing journey to and from the airport more comfortable and less stressful with Glasgow Airport luxury transfers. With vast experience in chauffeuring numerous different clients, we have become experts at providing luxury travel solutions, enabling you to make the most of your time by driving you to your destination promptly, efficiently and in sumptuous comfort. Avoid the hustle and bustle of one of the UK’s busiest airports by ensuring your exclusive chauffeur has been pre-booked for your flight to and from Glasgow Airport. Starr Luxury Cars pride ourselves, not only on the standard of our prestige hire cars, but also on the quality of our chauffeurs and staff. Your Glasgow Airport chauffeur will make your journey as calm and enjoyable as possible, loading and unloading your luggage for you and allowing you the time to familiarise yourself with the luxury hire car you have chosen to book. We will then concentrate on getting you to your final destination safely and quickly, leaving you free to use the travel time to work or relax in the prestigious surroundings of your state-of-the-art chauffeur-driven hire car. Our Glasgow Airport luxury transfer packages are tailored to suit the need of each client. You can choose to have your professional chauffeur wait for you at a pick-up point or ask for us to meet you in the airport should you need further assistance with luggage. For the most relaxing Glasgow Airport travel experience, you can even opt to add our airport assistance service onto your booking, requesting one of our dedicated and professional hostesses to accompany you for the duration of your Glasgow Airport wait. Your hostess can assist with luggage and general tasks, ensuring a relaxing experience. Having provided VIP airport transfers in the UK for several years, we know that on occasion your flight may not arrive on time. To overcome this, we will keep up to date with your live travel times, ensuring we are waiting at Glasgow Airport to meet you, regardless of the time you arrive. With an impressive list of chauffeur-driven luxury cars available, we have models to suit every client’s needs, be it a prestige car to fit a large group with extensive luggage or a high-end model featuring all the modern perks you could imagine. Our fleet includes perfectly maintained Jaguar, BMW and Rolls-Royce chauffeur-driven cars, all with spacious and modern interiors, perfect for business or pleasure. With so many impressive features as standard, we’re sure you will enjoy your Glasgow Airport chauffeur experience. However, we also offer a wide range of extras, perfect for tailoring your travel to suit your needs. From child car seats for family holidays to French champagne for couples enjoying a romantic trip, simply add your chosen extra onto your online booking or by speaking with a member of our expert team, ensuring you have memorable Glasgow Airport luxury transfers you’ll want to repeat every time you fly.